Notes: The Cardassian Keldon class is based on the Galor class spaceframe. 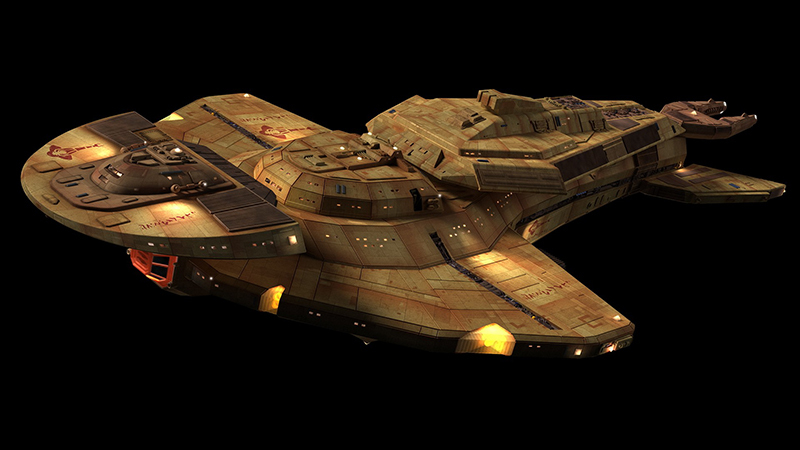 Weapon systems, shield, engines, and troop capacity have all been upgraded from the standard Galor class, though the Keldon class remains outclassed by more technologically advanced Alpha Quadrant power's starships. 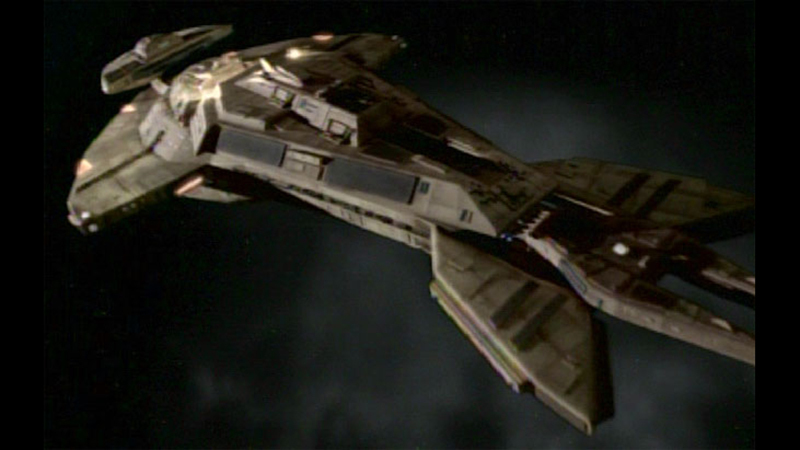 Upgraded versions of the Keldon class were built by the Obsidian Order in the late 24th century, where were subsequently destroyed by the Dominion. The majority of these ships not destroied by in the war will be decommisioned as a term in the Dominion War peace treaty. All ships belonging to the Obsidian Order were destroyed by Dominion.